This cult duo begins with an unstoppable giant spider destroying everything in its path in, what else, The Spider (73 min.). 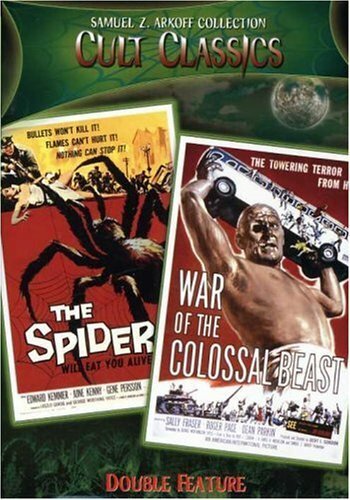 Appropriately following is another giant this time in the form of an insane and disfigured man who wreaks havoc on a small town in War of the Colossal Beast (69 min.). 1958/color-b&w/NR/fullscreen.